Coriander, also known as Cilantro, is a very common and popular garnish in South Asian cooking. 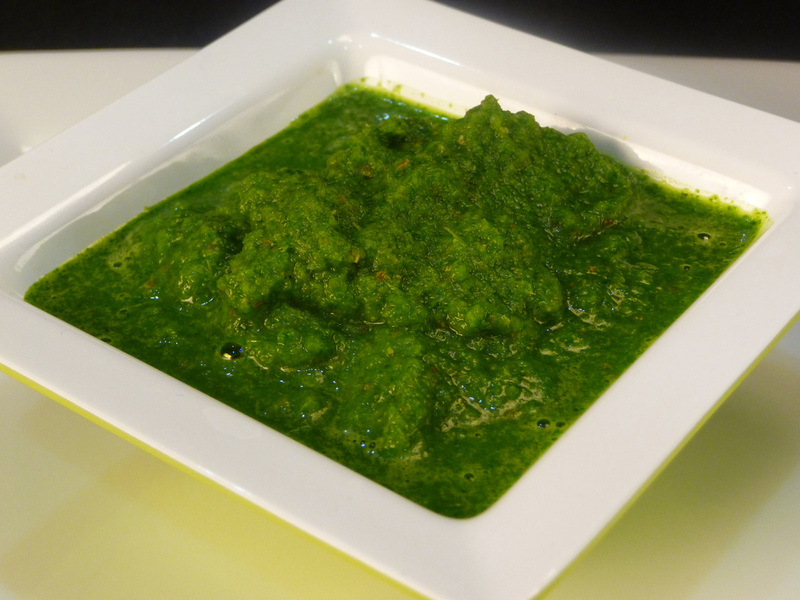 Coriander chutney takes this mild, yet flavorful herb and transforms it to a versatile condiment or dipping sauce that can be used with many different appetizers. 1. Add all ingredients (except oil) into a blender and grind to a smooth paste. 2. Push down the mixture to help with the grinding process. 3. Add oil right before final whirl to preserve the green color. 4. Store in refrigerator until ready to consume or freeze for longer periods.